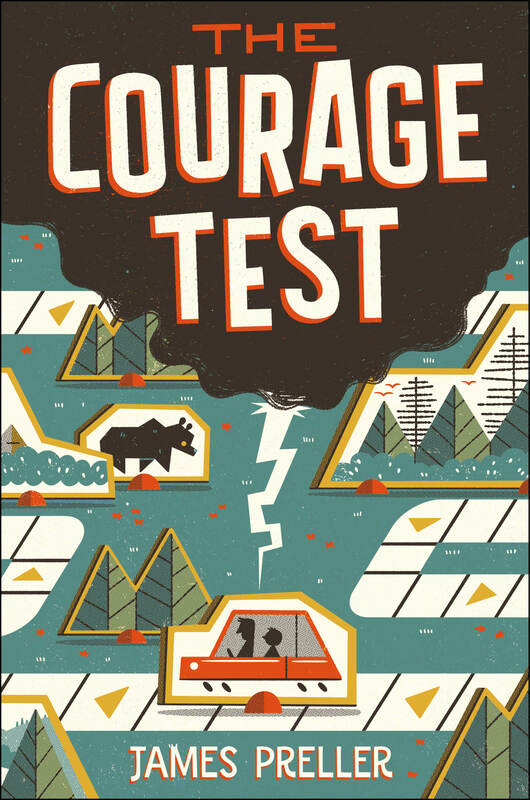 On May 31, 1805, Meriwether Lewis wrote: “As we passed on it seemed as if those seens of visionary inchantment would never have an end.” In my book THE COURAGE TEST, I needed my characters to travel through that same place. That’s a great phrase, isn’t it? I wish I could take credit for it, but it was written by Colum McCann, one of the great writers of our time. I love his work. McCann issued that phrase in a brief blog post titled “Don’t Write What You Know,” words that had me nodding my head in emphatic agreement. It felt like a post that I could have written, though not nearly as well, for I’ve shared those same thoughts. The way I’ve often put it in the past was: Write what you don’t know. That is, the inverse of the time-tested trope: Write what you know (which is also good advice — sometimes!). Don’t write about what you know, write towards what you want to know. Step out of your skin. Adventure in the elsewhere. This opens up the world. Go to another place. Investigate what lies beyond your curtains, beyond the wall, beyond the street corner, beyond your town, beyond your country even. A young writer is an explorer. She knows she wants to get somewhere, but she doesn’t even know if the somewhere even exists yet. It is there to be created. In the process of creating it we find out how varied and complex we are. The world is so much more than one story. Don’t sit around thinking about yourself. That’s boring. Don’t be boring, please please please don’t be boring! In the end your navel contains only lint. The only true way to expand your world is to think about others. We find in others the ongoing of ourselves. There is one simple word for this: empathy. Don’t let them fool you. Empathy is violent. Empathy is tough. Empathy can rip you open. But once you go there you can be changed. The cynics are the sentimental ones. They live in a cloud of their limited nostalgia. Leave them be. Step into an otherness instead. Believe that your story is bigger than yourself. In the end we only write what we know, but if we write towards what we don’t know we will find out what we knew but weren’t yet aware of. Rage on. Write your elsewhere. As writers, people who are basically just wanderers with words in white space, it’s important not to be limited in our imaginings. Sure, it’s fine to tell young writers, “Hey, you’ve been to Cape Cod? You can write about that!” or, say, “You play soccer? Great, center a story around a soccer game!” But it’s not necessary that we end there, limited to only the things we’ve experienced. To write only what we know. For what is writing, if not some bold new experience? Or some new exciting way of knowing? Step into an otherness instead. Believe that your story is bigger than yourself. 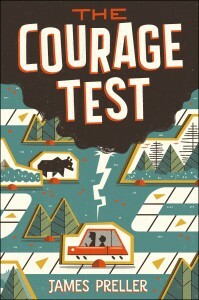 In my upcoming middle-grade book, The Courage Test (September, 2016), a father and son travel from Minneapolis, MN, to Seaside, OR, linking their trip to the trail originally followed by the explorers Meriwether Lewis and William Clark. However, I had a problem. I hadn’t been to most of those places, and I didn’t have the time or the budget to engage in that kind of direct research. Fortunately in today’s world there are incredible resources available to the (resourceful!) writer. You don’t have to write what you know, as long as you make the effort to find out. To learn. To explore. To discover. A young writer is an explorer. To site one example from my book, I knew that I wanted to get my characters on the water. Because, of course, that’s predominantly how Lewis & Clark traveled, and, hey, water. Ever since reading Twain’s Huckleberry Finn and Homer’s “Odyssey,” I’ve been wise to the metaphoric possibilities of water: the passage of time, the collective unconscious, our watery beginnings in amniotic fluid, and so on. Water in literature is always a good thing. 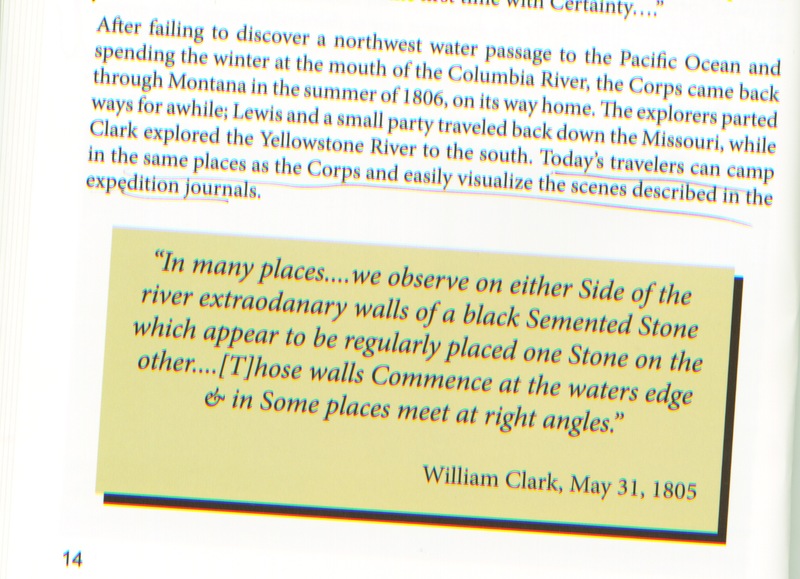 So after poking around in books and websites, looking at photos and blogs, I decided they would travel on the Missouri River from Fort Benton to Judith’s Landing, backtracking east with the current. 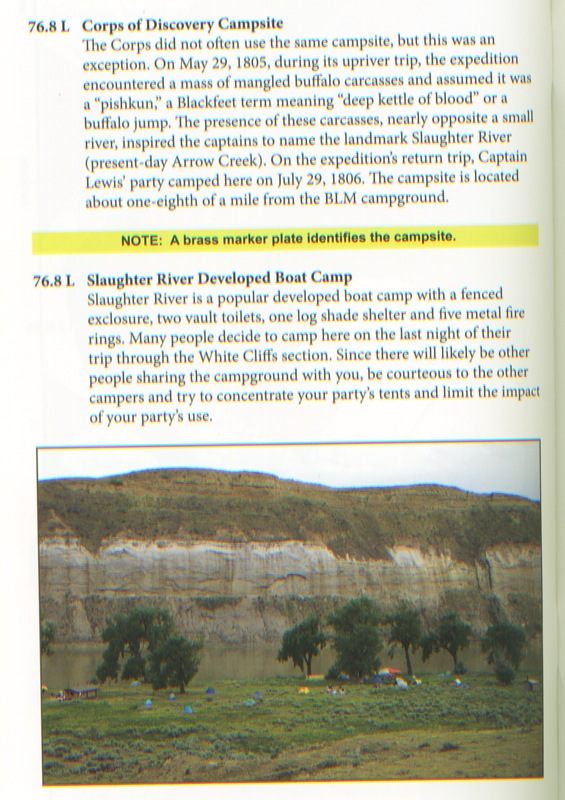 To that end, I ordered a Boaters’ Guide to the Upper Missouri River Breaks National Monument. The 64-page booklet was perfect for my intentions, rich in detail, and covered the exact passage that my fictional characters would travel. I imagined, appropriately, that they would possess a copy of their own. The booklet came with great maps and information about landmarks and hikes — places where my characters would walk, visit, see, and feel. 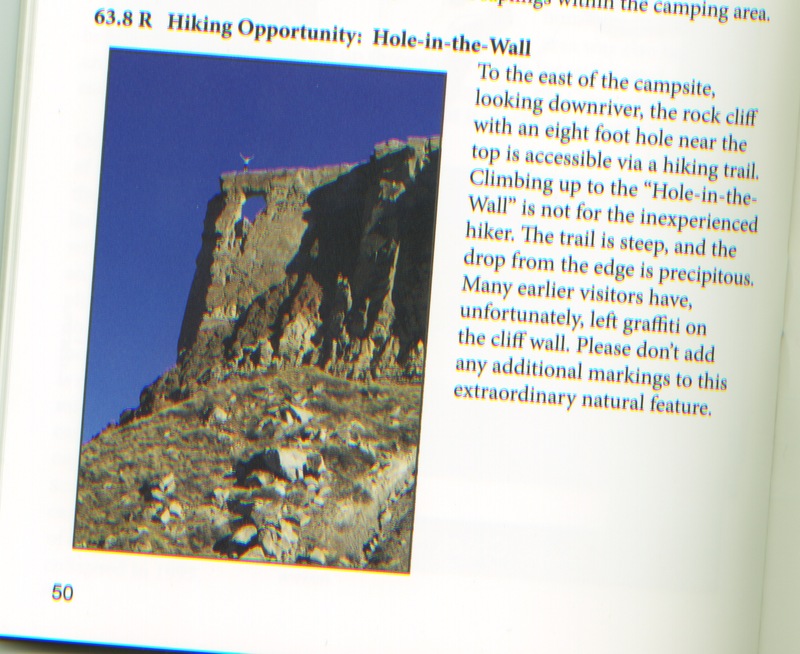 Young Will and Ollie made this hike in my book. That night, we camp where the Corps of Discovery camped more than two hundred years ago. Meriwether Lewis and his men. Under the same starry skies, staring into the same fire, beside the same chalky cliffs. I want to tell my father about the bald eagle Ollie and I saw. And the pronghorn. And about the hard, dangerous hike to the top of the Hole in the Wall trail. How it looked so tiny from the river, but was twice my size when we finally got up to it after some dicey scrambling. How Ollie had pointed out ponderosa pines and cottonwoods. Instead, I ate and yawned and climbed into my sleeping bag. Dog tired. My heart confused. That’s one message I sometimes share with young writers when I visit schools. A faint echo of McCann. Write what you know, surely. But don’t feel constrained by that. Break those chains. Travel that blank white space, pen in hand. Dare to write what you don’t know. And by all means, yes, bring back news of your adventures.